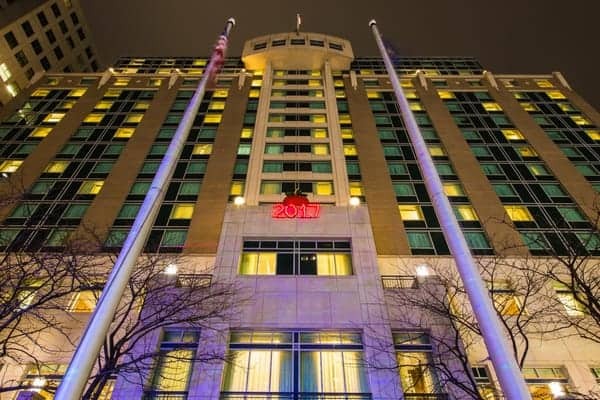 While the glittering ball in New York City’s Times Square might get a lot of attention around the world, here in Pennsylvania there is a huge variety of places you can countdown the new year. Even better, many of the things dropped throughout Pennsylvania are a bit on the wacky side, commemorating a local industry or idiosyncrasy. In Dillsburg, a small town south of Harrisburg, the tradition is to drop a pickle from the top of a fire truck to celebrate the new year. Now in its 21st year, the event starts at 4:30pm with kids activities and culminates with the dropping of “Mr. Pickle” at midnight and fireworks. Interestingly, the town of Mt. Olive, North Carolina also drops a pickle on New Year’s Eve. Kennett Square is known as the “Mushroom Capital of the World”, so it seems fitting that they will drop a mushroom this New Year’s Eve. 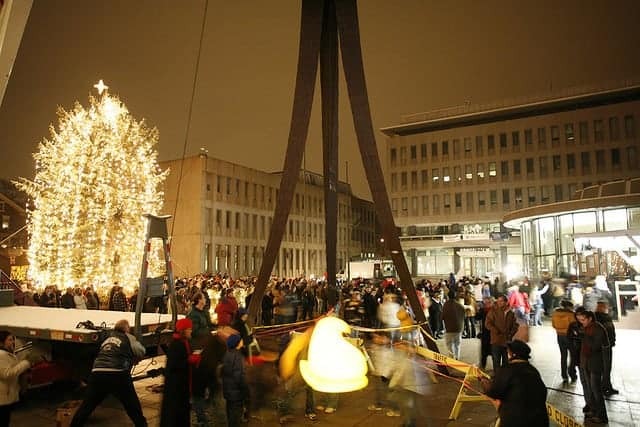 The 700-pound, 7.5 foot tall stainless-steel mushroom will drop at the culmination of the “Midnight in the Square” festival that starts at 9pm. 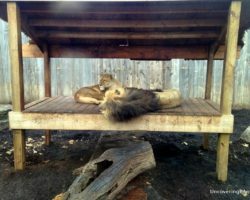 This is the first year of what is likely to become a new town tradition. 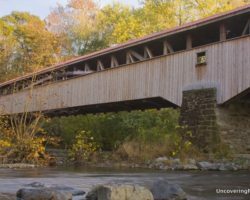 While nearby Hershey might be the most famous chocolatier in Pennsylvania Dutch County, it’s certainly not the only one. In Elizabethtown, the Dove factory rules the roost, and they celebrate by dropping a Dove Promise chocolate bar (they dropped an M&M up until last year). In recognition of their sister city, Letterkenny, Ireland, Elizabethtown celebrates “midnight” at 7pm, making this a great place to take the kids. It makes sense that a town named “Beavertown” would drop a beaver on New Year’s Eve. And that’s exactly what happens in this Snyder County borough. For the fourth time, Beavertown will be dropping a 6-foot long beaver made of styrofoam and fake fur from a 75-foot tall fire truck ladder. Fireworks will follow the drop. Crayola Crayons are a big deal in Easton, so it makes sense that they would have a crayon drop. Entering its 4th year, the crayon drop was supposed to be a one time thing, but has become a local tradition due to its popularity. The crayon drops at 8pm, followed by fireworks, ensuring that the little ones can experience the event without having to stay up too late. 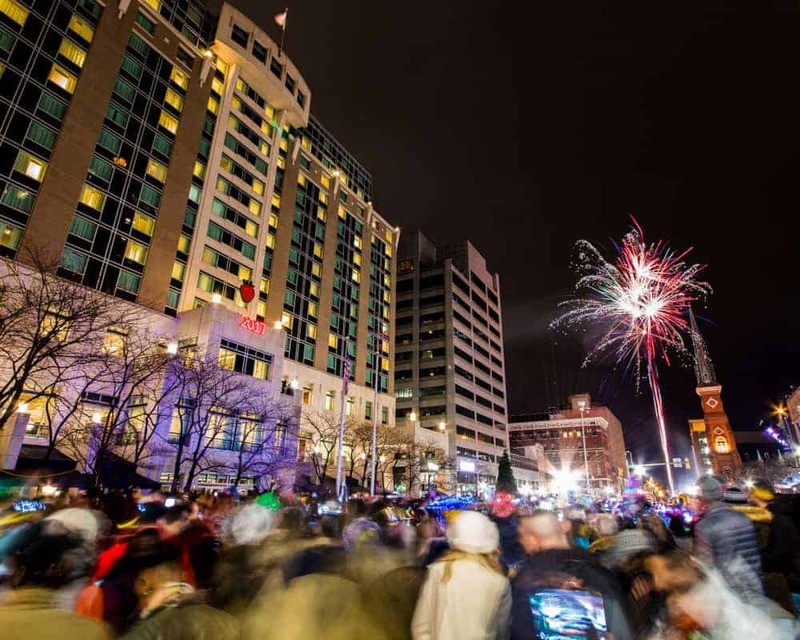 A strawberry is dropped in Harrisburg to ring in the new year. The dropping of a strawberry in Harrisburg might be one of the most peculiar events in the state. While strawberries are grown nearby, Harrisburg isn’t particularly known for strawberries, and there is no major industry in the area related to the fruit. Instead, according to the tourism bureau’s website, Harrisburg drops a strawberry in recognition of its (not that exciting) Strawberry Square shopping center. It’s a rather odd reason, but the event, now more than 25 years old, is quite popular in the region. After the strawberry is dropped, there is a brief fireworks show in downtown Harrisburg. Back to things that make a bit more sense; the town of Pottsville drops a bottle of Yuengling beer each year for New Year’s Eve. 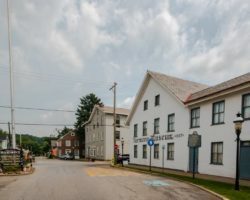 Home to the Yuengling brewery since 1829, the oldest continually operating brewery in America, Pottsville’s beer bottle drop has continued to be a very popular event. Bethlehem, Pennsylvania drops a giant Peep on New Year’s Eve (Creative Commons: Flickr.com user Lehigh Valley, PA). As the home to everyone’s favorite marshmallow chicks, Bethlehem quickly switches from “Christmas City USA” mode and drops a giant marshmallow Peep on New Year’s Eve. There are a ton of activities going on both December 30 and 31st at the Steel Stacks in Bethlehem, which culminates in the dropping of the Peep at 5:15pm on New Year’s Eve. For the last seven years, Lewistown has been dropping a bag of a local favorite: Hartley’s Potato Chips. The giant bag is six foot by nine foot and is official dubbed “The Great Chip Drop”. As with most New Year’s Eve celebrations in Pennsylvania, the Great Chip Drop is followed by fireworks. Once known as one of the dirtiest cities in the world, Pittsburgh has revitalized itself into one of the country’s most underrated cities. So, it makes sense that Pittsburgh would honor that tradition by showing their “green” side. Called the “Future of Pittsburgh”, the ball is a 1,000 pound lit orb made entirely out of recycled materials. The First Night event includes a parade and many activities in the downtown cultural district. 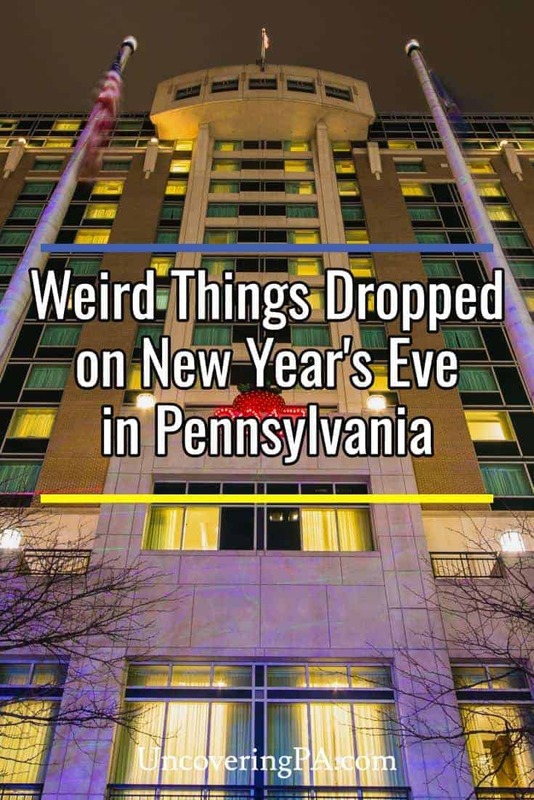 Bear in mind that this isn’t an exhaustive list of crazy things dropped on New Year’s Eve in Pennsylvania. 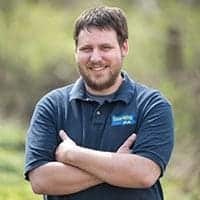 There are many more crazy celebrations all over Pennsylvania, including a light bulb in Sunbury, an Indy Car in Carlisle, a kettle in McLure, a rose in both York and Lancaster, and many more. If you want a full list of weird things dropped on New Year’s Eve in Pennsylvania and around the entire USA, check out this great list from Wikipedia. Check out our top suggestions for the best things to do in Philadelphia on New Year’s Eve. I was in Mechanicsburg visiting the in-laws last week and found it funny that they drop a wrench on NYE! 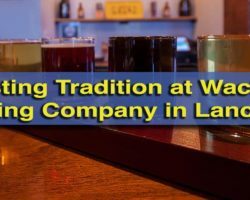 Great to know other towns in PA have many creative traditions. Great post and a beautiful state to visit! The wrench drop in Mechanicsburg is another great one. Thanks for the comment, Erin. A 10ft Lebanon balogne in Lebanon, pa.
That’s definitely another interesting one for sure. Thanks for the comment, Jean! Hershey is in Dauphin County, not Lancaster County. Other than that, a great article. Thanks for pointing that out, Greg. I’m not sure how I missed that typo when proofreading. McClure Pennsylvania drops a Kettle in honor of the 124 years of McClure Bean Soup Festival. Apologies, Lisburn, Pa. hop, skip and jump away from Lewisberry … is already on the wikipedia list! You forgot about Philly!!! We drop chicken nuggets.. Frozen preferably. Where in Philly do they drop that? I’ve never heard of the chicken nugget drop, Lora. We RAISE a bottle of Yuengling in Pottsville. It’s a misdemeanor to drop a bottle !! Sunbury PA, home of Edison’s 1st 3 wire electric lighting system, drops a light bulb. does anyone know of anything fun being dropped somewhere northcentral ish?? i live in potter county so i’m not expecting much here but i would love to go somewhere close ish. Unfortunately, due to lack of funding, the Hartley’s Potato Chip drop has been discontinued. However, this year, there is to be a train wheel replica drop, in Lewistown, near Standard Steel, where train wheels are manufactured. I have pics and a video of the deer dropped on deerpath drive in susqhehanna twp ha ha. In Lebanon, PA they drop a huge Lebanon Bologna. It is later cut up and made into sandwiches. Many years ago a couple of friends and I decided Palmyra needed “a drop”. So we shoved a large console TV from their attic window onto the sidewalk at midnight. No witnesses, no press, just some junk to clean up the next day. As of 2018, Lewistown no longer drops a bag of potato chips and Beavertown just canceled the Beaver Drop for this year. 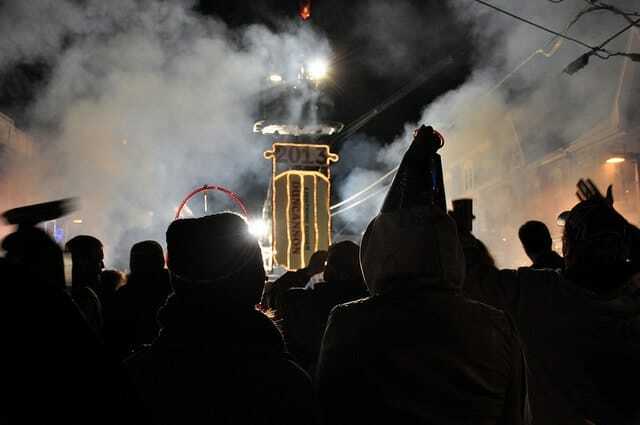 If you’re in Mifflin County this New Years Eve, look for the Burham Steel Wheel Drop at the local Lion’s Club or the 5th annual Ice Cream Cake Drop in McVeytown.